Born in Warsaw, Poland, Szymon Abramowicz Winawer (March 5 1838 – January 12 1920) was a leading chess player who won the German chess championship in 1883. At Paris 1867, his first international tournament, Winawer finished 2nd tied with Steinitz behind Kolisch. He remained one of the world�s best players for the next fifteen years. At Paris 1878 Winawer tied for 1st (+14, =5, -3) with Zukertort ahead of Blackburne and George Henry Mackenzie, but took 2nd prize after the play-off. Winawer�s best result was a first place tie with Wilhelm Steinitz at Vienna 1882, in what was the strongest chess tournament in history up to that time. After a long absence he returned to chess in the 1890s but by then he had been surpassed by younger players including Tarrasch and Lasker. 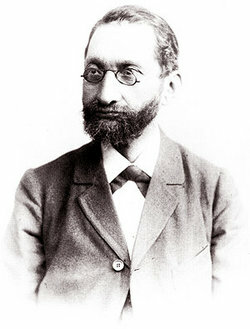 Winawer continued to play competitive chess into his 60s, and in his career he faced all of the top players from the last third of the 19th century, from Anderssen to Lasker. His rivalry with Blackburne stretched from 1870 to 1901 and they met in competitive games in five consecutive decades. Winawer died in Warsaw on January 12 1920. Winawer has several opening variations named for him. The most important is the popular Winawer Variation of the French Defence. His name is also associated with the Winawer Attack in the Ruy Lopez. At Monte Carlo 1901, Winawer�s last international tournament, he introduced the Winawer Countergambit in the Slav Defense in a game against Marshall. This article is based on the article Szymon Winawer from the free encyclopaedia Wikipedia and stands under the GNU-Licence for free documentation. In the Wikipedia a list of the authors is available.